The following book titles made it to the Elite Eight – Hunger Games, Anya’s Ghost, Between Shades of Grey, Death Note, Fairy Tale, Marked, The Reluctant Assassin, and Hauntings. Congratulations to Ely-Yah in the Freshman Academy and Megan in the High School for winning the random March Madness drawing. There are still chances to win! 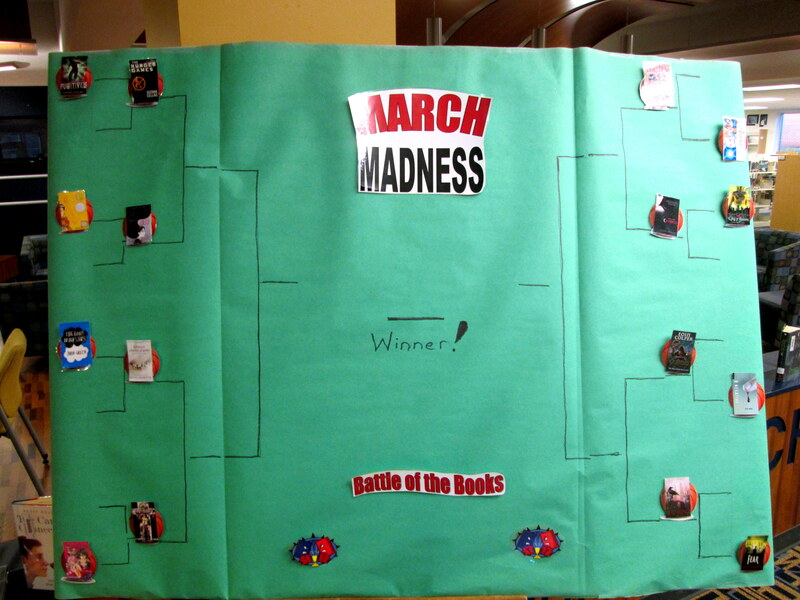 Check the Ignite Edmodo group for a form to select from the Elite Eight.